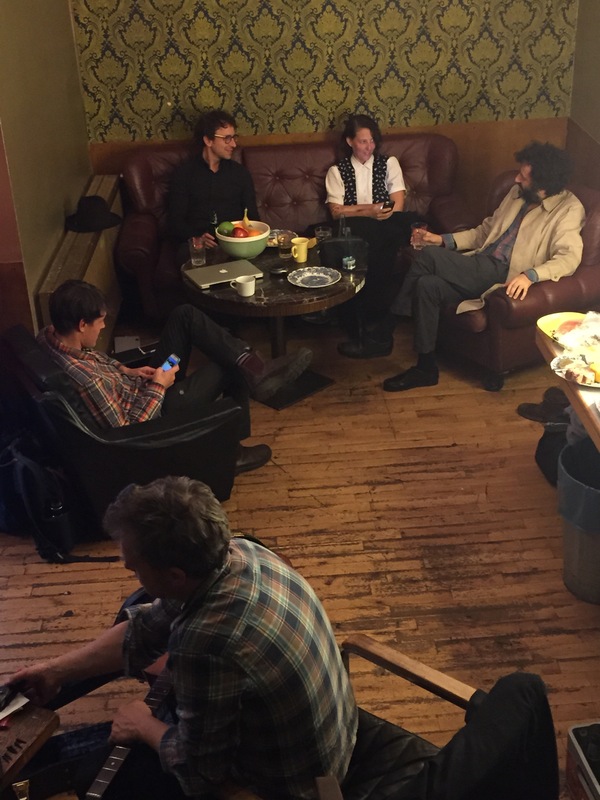 1) Here we have your typical green room scene. This is in Berlin, at the Lido. Dave attends to his guitar, while Josh prepares his next DJ set for the bus, assumably. Whilst Daniel regales Joseph and Jennifer with tales of his stay at the Swiss spa, i mean, *ahem*…hospital. 2) Ahh yes, the gentlemen of Bologna, Italy (and also the dog-walking woman, for context). This cafe is below the Covo Club venue. The guys seem to hang here like 24/7. Doing not much; just hanging. It was confusing at first, then i tried the cappuccinos. 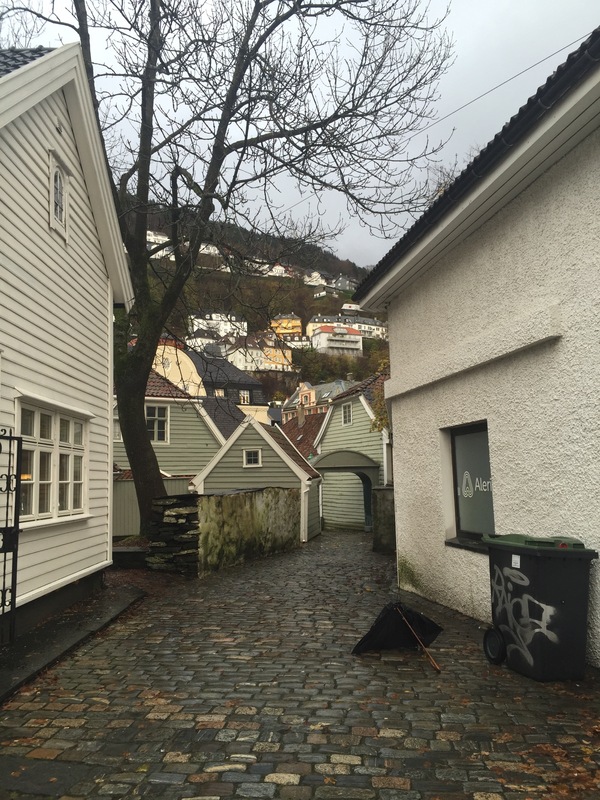 3) A stolen moment from Bergen, Norway. I know it’s not right to steal, and i don’t feel great about it. But man, you should should see what they’re charging for moments up there! A lot, ok. Don’t judge me. Also, try the “Penicillin” at Muskedunder. It’ll set you free. 4) And finally, here i am in Stockholm, Sweden. Photo by Nic Bragg. Thanks amigo. I have a few interesting things going on here in Vancouver over the next month. Pretty stoked to be involved in FLEE, a sweet little theatre production brought to you by the Electric Company Theatre Company & Studio 58. We are performing Peggy Lee’s awesome score live in a “pit” band of sorts. It’s…pretty great. Show runs Nov 28-Dec 6 at the Fox Cabaret. The band is Ron Samworth, Dylan Van Der Schyff, Peggy and I. More info, including showtimes, HERE. Playing with SICK BOSS at the final Sick Boss Monday at the Lido on Monday Nov 30. With Cole Schmidt, James Meger, Dan Gaucher, and Rory Cowal. Looking forward to rocking DUO again with John Brennan, this time at the Big Joy Festival on Saturday Dec 5th at Remington Gallery (9:30pm). Making my first appearance at the afternoon jazz series at Pat’s Pub on Saturday Dec 12th with SUN RA’S STAR SYSTEM, alongside John Paton, Tony Wilson, Tyson Naylor, Colin Cowan & Dan Gaucher. 3-7pm. INFO. Playing a SOLO set on Tuesday Dec 15th as part of an ongoing solo music series at the China Cloud called Singles Night. Also playing are my good buds Skye Brooks and Colin Cowan. 9pm. And finally, INHABITANTS are supporting our friends from Pugs & Crows for their new album release! The show is at the Western Front on Thursday Dec 17th. We’re on first at 8pm. Should be a fun night. More INFO.